It’s interesting to see the current landscape of the HDTV industry. 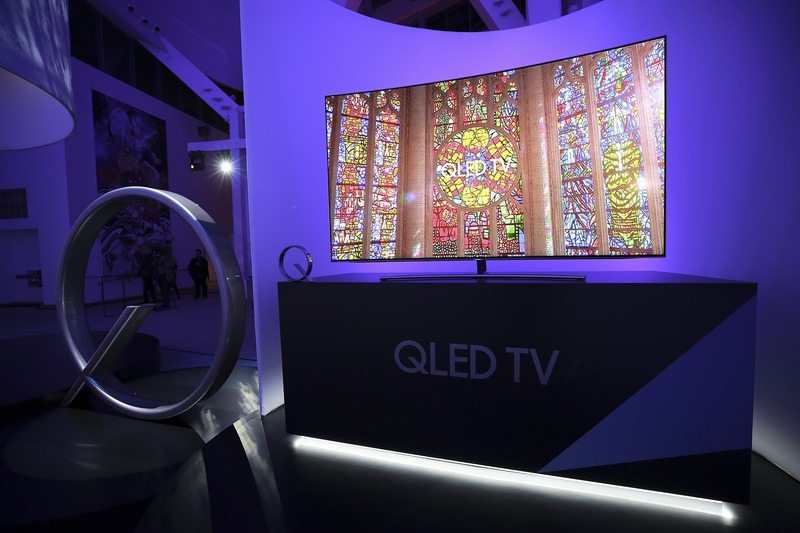 On one end, you have LG that’s been making a huge investment in OLED technology, making a strong argument for its long term relevancy in your living room. OLED displays offer amazing color fidelity, contrast ratios, and response times, far greater than what current LCD displays can offer. Samsung however, isn’t convinced, and is placing all bets on QLED as the future of display technology. Samsung made a breakthrough with a refined metal quantum dot material that serves as the heart of their QLED tech. This allows dramatic improvements in light efficiency and color accuracy. 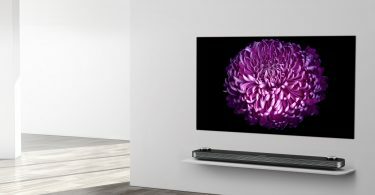 Samsung mentioned that their QLED HDTVs can reproduce 100 percent of the DCI-P3 color space, which is impressive, considering the fact that most other manufacturers hang around 95 percent reproduction. Samsung claims that this allows for an “incredibly accurate and precise picture from any angle in any environment”. Quite a bold statement; it will be interesting to see if it lives up to the hype in this regard. Most modern LED HDTVs struggle badly in terms of viewing angles, washing out the picture when viewed at angles. These new QLED HDTVs are far brighter as well. 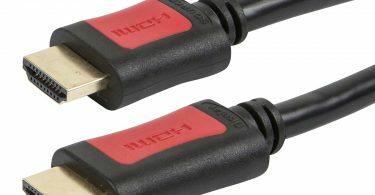 Most conventional HDTVs in living rooms tend to max out around 400 nits of brightness. With HDR content necessitating much higher brightness levels, the top HDR HDTVs usually average around 800-1000 nit. This ceiling has been obliterated with Samsung’s newest QLED panels, as they are advertised to reach an incredibly high 1500-2000 nits of brightness. Don’t forget to keep your sunglasses next to you on those outdoor scenes. 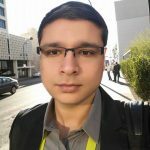 Samsung notes that brightness level will not affect the color fidelity at these extreme brightness levels. 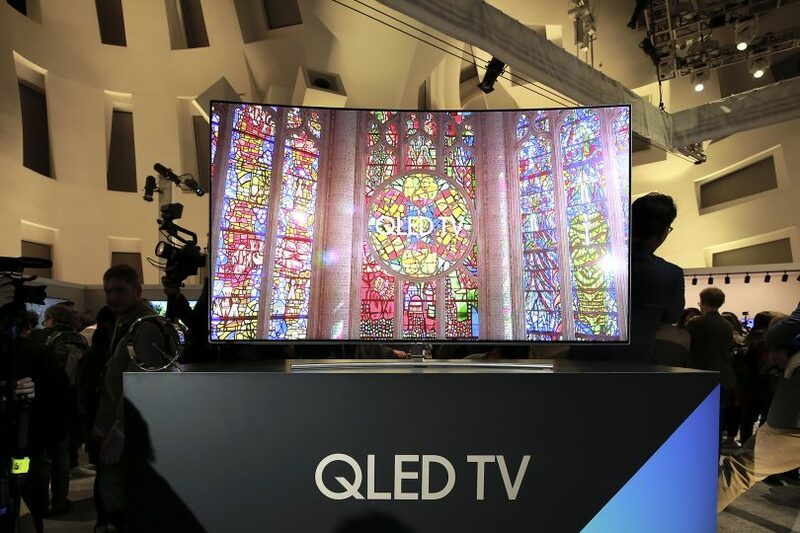 Most HDTVs on the market currently lose color quality when brightness is set to high levels, and that’s something Samsung does not want happening on their QLED displays. This is good news for those that like to set their TVs into torch mode, a common occurrence in the demo room of most stores. Black levels are apparently great too, as this year’s QLED lineup is supposed to offer truly deep black levels. Samsung’s 2017 QLED lineup will be offered in 4K resolution with HDR10 support, as no support for Dolby Vision was mentioned in their announcement. Three model ranges will be offered: Q7 for entry level, Q8 for mid-range, and Q9 for high-end enthusiasts. Q7 will offer flat and curved options, Q8 will be curved only, and the flagship Q9 will only be offered as a flat variant. They will start shipping in February. Samsung have featured some of the lowest input lag numbers in our input lag database, and if they can produce equally low input lag from these newer models with these image quality improvements, I’m so ready to game this year.